There’s a shortage of 50,000 truck drivers impacting manufacturing in America, and demand keeps growing. Last week, we spoke about some pretty futuristic transportation ideas. This week we’re talking with a serial entrepreneur who is trying to beat the odds and make transportation and logistics work better today. 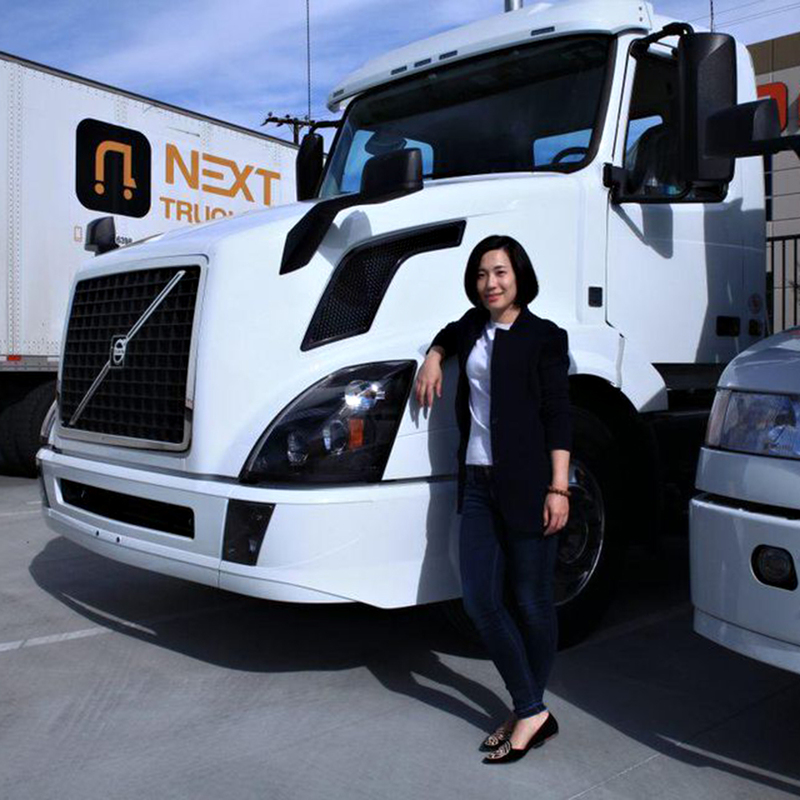 Lidia Yan is the founder and CEO of NEXT Trucking, a portal for matching shippers with carriers. Although Lidia isn’t a manufacturer herself currently, her past entrepreneurial experiences made her realize how critical truck drivers are to the manufacturing and delivery of physical goods. Especially in today’s world of complex supply chains and consumers that want instant gratification and products on-demand. I was curious to learn more about how the shipping ecosystem works, and how Lidia’s software makes the process work more smoothly. I wanted to understand how autonomous vehicles and automation play a role in logistics, and why several tech companies that have tried to automate the matching process (including Uber) have struggled. I wanted to understand the pitfalls and how NEXT Trucking has managed to be profitable so far. Plus, we get Lidia’s tips on logistics and shipping for emerging brands and manufacturers. 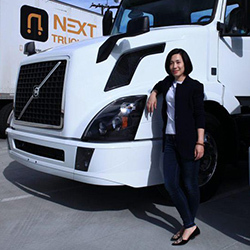 Lidia Yan is the Chief Executive Officer and Co-founder at NEXT Trucking, an ambitious Sequoia-backed startup that develops technology to address lack of capacity for the growing volume from global shippers and underutilization in the U.S. trucking industry. Through NEXT Trucking, Lidia brings together her expertise in product development, marketing and operations. Prior to NEXT Trucking, Lidia was a marketing executive at top 10 ecommerce retailer, Newegg. At Newegg, Lidia managed a $22 million marketing budget while keeping the cost of overall sales under one percent. Before Newegg, she founded 9luxe, a leading flash sale site in China. Lidia launched 9luxe without any venture funding, managed the distribution of over 40 luxury brands, and led the company to profitability within its first six months. Lidia holds an M.A. in Communications from the University of Southern California. She grew up in Shanghai, China, and now calls Southern California home. When she isn’t busy managing her company and mentoring employees, Lidia enjoys relaxing at home with her husband, parents and her three-year-old Border Collie, Toby.